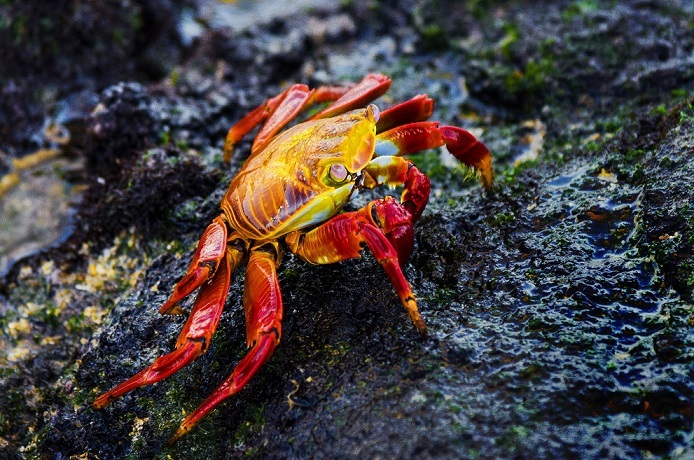 Sally Lightfoot crabs are brightly-colored coastal scavengers, found in the Galapagos Islands and across the western coast of South and Central America. They can be seen everywhere feeding in large groups on most beaches and in shallow water all around the Islands. If you want to experience them in person along with the plethora of incredible wildlife under & above the turquoise waters, join our Galapagos group tour!